We had such nice clear night skies while we were away that I couldn't resist trying to take a milky way photo. 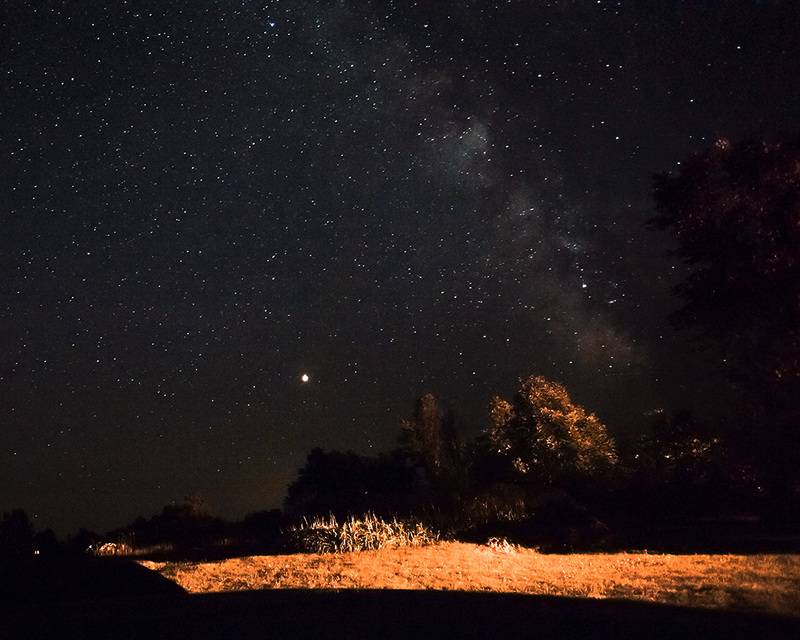 I didn't have a tripod with me so I just propped the camera up on the roof of the van, pointed it in the general direction of Mars and took a 30 second exposure. We were staying at Silent Valley Alpaca again this year, so the van was parked up near the top of a hill behind the cabin that we were renting. The foreground is illuminated by the barn light at the bottom of the hill, and a bit by the interior lights from the cabin. Technical Details: This photo was taken with my 5D Mark II + EF 17-40L at 17mm, ISO 3200, f/4 for 30 seconds.